More lenses for a variety of uses. Sometimes it takes just a slight power-up to make everything better. 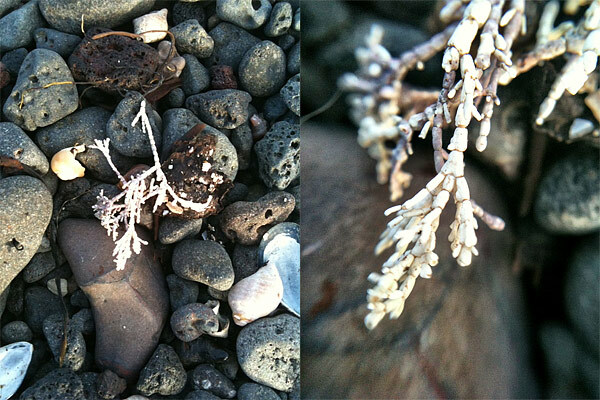 Photojojo wide angle and macro for camera phone come together as a double lens. Yes, it’s a single lens you are getting: by unscrewing the wide angle top, you have the macro ready. Always make sure that the wide angle is secured to the macro before putting the lens away, so that you don’t accidentally lose it. As the name clearly states, a wide angle lens allows to capture a larger portion of the scene you aim it at. The wide angle is great for emphasizing a sense of distance and vastity. One of the most evident features of images taken with a wide angle lens, Photojojo’s included, is the perspective distortion: straight lines appear more or less warped, close objects appear unnaturally large, while distant objects appear much smaller than they actually are. Because of distortion, a wide angle lens is usually not recommended for shooting portraits, unless conveying a peculiar effect is desired. 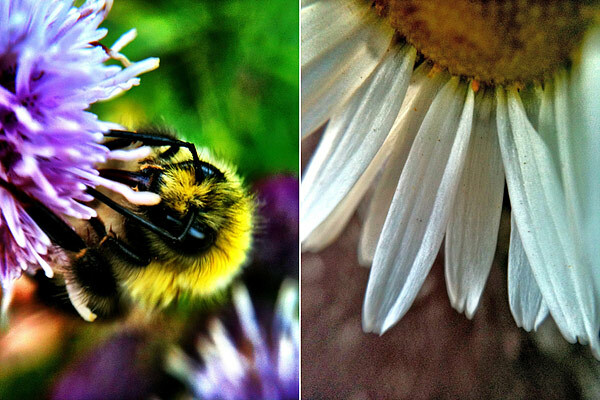 Here are a couple of sample shots taken in Camera+ for iPhone. 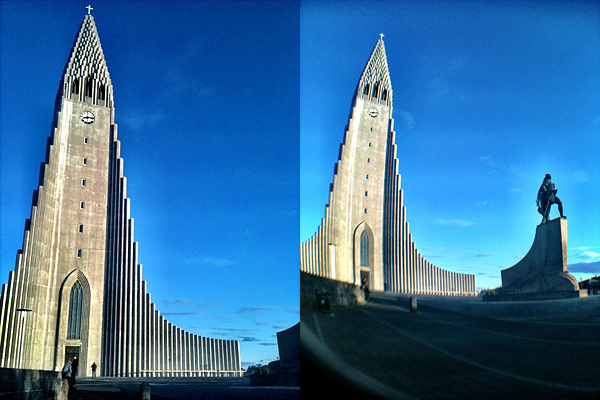 I took two photos of the Hallgrímskirkja, one of the main landmarks in the city of Reykjavík. There is something wrong with the first picture: where is good old Leif Erikson (left)? Look, there he is (right)! As you can see, the first photo, taken with iPhone native lens, has a rather “crammed” feeling to it — and I couldn’t fit the nearby statue in it. The second shot feels more spacious, thanks to the lens’ wider angle. The only issue with the wide angle is that, depending on the camera phone you are using, the edge of the lens may end in your photo together with the rest of the scene. It is nothing you cannot crop out of the picture (or remove with the help of apps like TouchRetouch). This issue will affect you more or less negatively depending on what you are photographing: if precision in framing is a priority, then this problem may seriously get in the way. Photojojo’s macro is not exactly a macro lens but rather a close-up filter, that is a secondary lens permitting to photograph subjects up close making use of the camera phone’s native lens. If you want to get incredibly closer to your subjects, if you want to show minute details, the macro lens is what you are looking for. The macro, which is capable of taking pictures 10-23mm from your subjects, is definitely my favorite lens in Photojojo’s bundle. Going macro is indeed like seeing things for the first time. Be careful when using the macro, because depth of field becomes narrower, so you have to pay attention to what you want to appear in focus. Here are more photos taken with it. From the same kit is the fisheye lens. Honestly, I’m not a great fan of fisheye photography, mostly because I think the fisheye is a difficult lens to handle properly. You have to find the right subjects and conditions to make a fisheye photo spectacular, while most people just think using this type of lens is an end in itself. For this reason, most fisheye photos mean absolutely nothing beyond the effect provided by the lens. I have no problems admitting I am not a gifted fisheye user. A fisheye is not only hard to handle, but also hard to manufacture. 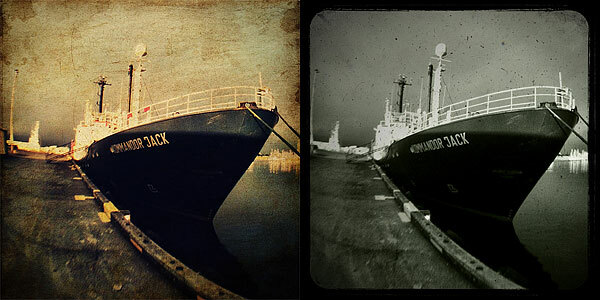 Needless to say that, for its strong character, imitating the effect of the lens digitally often produces lame results. 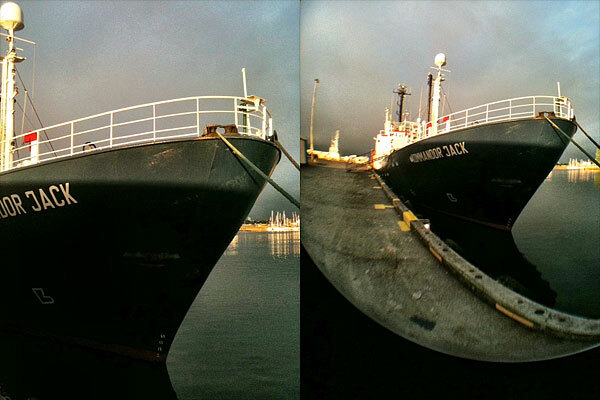 Same angle, same distance: before and after fisheye lens. A fisheye is an ultra-wide angle lens that, due to its angle of view, produces images characterized by extreme barrel distortion. Photojojo’s lens can take 180° photos. This means the lens will come in handy whenever you have to capture a scene that is beyond the wide angle capabilities. The fisheye also lends itself to many different expressive uses, like creating unique architectural effects or panoramas that intensify the scene’s sense of space. As you can see from the examples, fitting large objects in a single frame is impossible with the iPhone’s native lens, while it is not a problem with the fisheye. Same shot with fisheye lens on, taken in Camera+and edited in Cameramatic. Photojojo’s fisheye is built to work better on camera phones with a flat body. On curved bodies, like that of 3GS, the shape of the phone will limit the possibilities of the lens, as I explained above for the wide angle. Like the telephoto, which we have recently reviewed, the wide angle/macro lens and the fisheye come with two adhesive rings for easy attaching and detaching, a front cover in plastic and a magnetic cover for the back. The price tag for the double wide angle/macro is lens is $20, while the fisheye is $25. You can get them both together with the telephoto at the special price of $49 from Photojojo store. Photojojo kindly provided us with the lenses for reviewing purposes. Oh yeah, due to the round edge of the iOS devices mentioned, you will get a liiittle bit of blind/dark spot in the corner…but it’s workable! Put the lens first before you attach the ring to know where to place the ring best so you can get minimum dark spot. Previous post: TrueHDR on Sale!